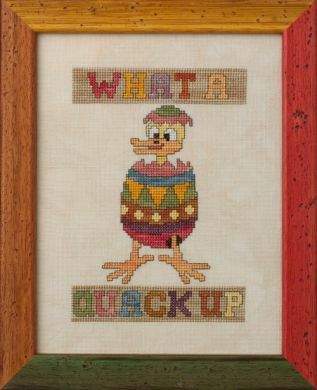 What A Quack Up is one of four Easter designs from 2011. Materials Summary: Models stitched with 16 colors of The Gentle Art Floss. Crescent Colours and Weeks Dye Works comparables provided in the chart below.